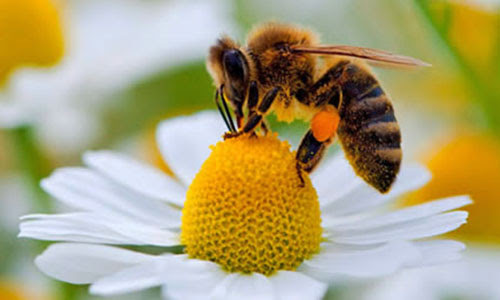 United States beekeepers lost 44 percent of their honey bee colonies from April 2015 to April 2016, according to the latest preliminary results of an annual nationwide survey. This is a higher overall loss rate than last year and marks the second consecutive survey year that summer loss rates rivaled winter loss rates. This chart presents ten years’ worth of results from an annual survey of honey bee colony loss conducted by the Bee Informed Partnership. Originally designed to only track winter losses, the survey began tracking summer (and therefore total annual) loss rates in the year spanning 2010-2011. Beekeepers across the United States lost 44 percent of their honey bee colonies during the year spanning April 2015 to April 2016, according to the latest preliminary results of an annual nationwide survey. Rates of both winter loss and summer loss–and consequently, total annual losses–worsened compared with last year. This marks the second consecutive survey year that summer loss rates rivaled winter loss rates. A recent study, published online in the journal Apidologie on April 20, 2016, provided the first multi-year assessment of honey bee parasites and disease in both commercial and backyard beekeeping operations. Among other findings, that study found that the varroa mite is far more abundant than previous estimates indicate and is closely linked to several damaging viruses. The above post is reprinted from materials provided by the University of Maryland. .